I got a nice surprise while scouting for elk on the 20th. 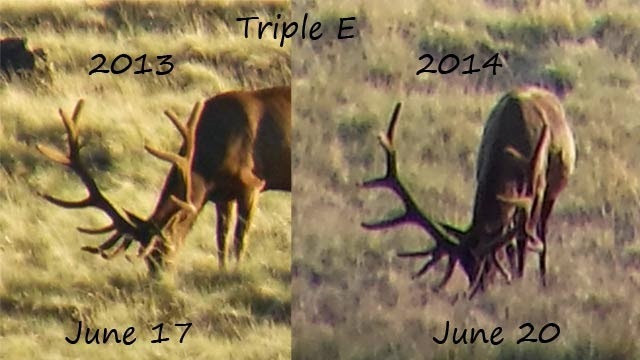 I was able to film "Triple E"! I found him last year but only saw him one time. 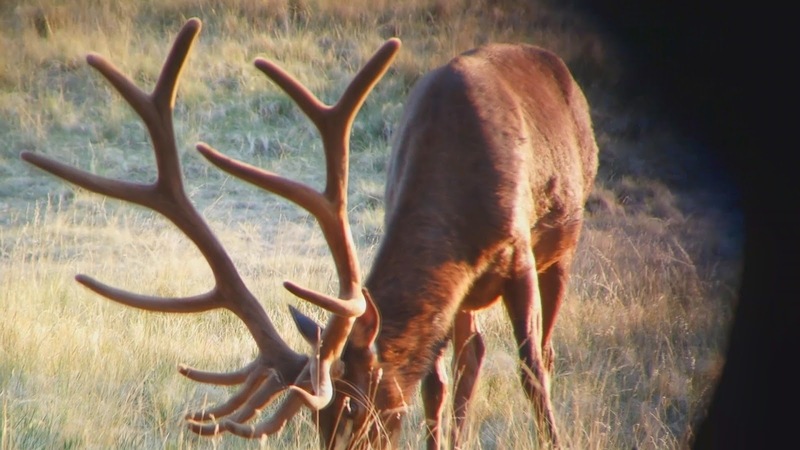 Looks like he made it through the season and is looking pretty sweet for this time of year! There were a couple other nice bulls in the group also. Here are side by side pics from last year to this year. Upclose pic from this year.